This article represents my third on this topic, with the original written back in 2011. That was followed with a complete update in 2015, due largely to the fact that the health insurance landscape had changed so dramatically as a result of the implementation of Obamacare. I’m now planning to make my list of 20 part-time jobs with health insurance an annual event, since change in this arena is now the rule. 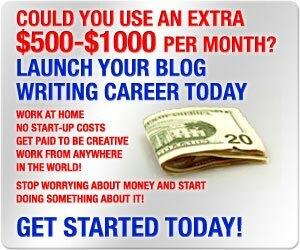 OutOfYourRut.com is a blog that has a primary mission of helping readers to navigate the uncertainty of earning a living and dealing with major expenses in the 21st century. It’s becoming increasingly clear that the “rules” that applied during the 20th century, and particularly since World War II, have little relevancy now. Nowhere is that more obvious than when it comes to getting affordable health insurance. The game has changed and we all need to adjust to a new and evolving set of benefit limitations. I make this point because the first two articles in this series invited dozens of comments by readers dismissing the whole idea of getting health insurance through a part-time job. The general tone is that If I can’t have perfect health insurance, then anything less is a ripoff. I completely disagree with any opinions along that line. We all need to work within the limitations of the world that we have right now. We can’t wish a better world into existence. I’ll stand by my repeated line that even lousy health insurance is better than none at all. Never is that more obvious than when you go through a major healthcare event. Just having a health insurance ID card can often be the difference between getting critical treatment and being given first aid. And for what it’s worth, in my family we’re actually living on the advice that I’m giving here. That’s the reason why I’m so convinced that finding part-time jobs with health insurance is a good strategy. My whole family has such coverage, and thus far it’s proven to be more satisfactory than anything that’s available on health care exchanges. My wife got a job with a credit union here in New Hampshire back in January of 2015. Her and I were covered under the plan beginning on February 1 of that year. Since she was working only 20 hours per week at the time, we could not afford coverage for our two young adult kids. The company simply offered very little in the way of an employer subsidy on the premium when you work so few hours. However, last September my wife was bumped up to 30 hours, and because of the higher employer subsidy that came with it, we were able to add our kids to the plan as of January 1, 2016. Think of us as the real-life test dummies for the part-time jobs with health insurance strategy ;-). 18 of the 20 employers listed in 2015 are back on the list for 2016. I deleted Lowe’s, since they seem to have backed out of providing health insurance coverage. I also dropped Allegis Group from the list because their website doesn’t actually mention health insurance for part-time workers. However, there are several third-party sources on the web confirming that they do offer it. Proceed at your own risk. What was at least somewhat surprising was that replacing Lowe’s and Allegis wasn’t even a little bit hard. There are actually plenty of employers who offer part-time jobs with health insurance, even in the aftermath of Obamacare. In fact, I added some extra employers under certain general categories on this year’s list. Oh, I’ve also excluded any employers who are offering what appear to be limited benefit programs, rather than actual health insurance plans. Banks offer one of the most comprehensive benefit packages for part-time employees. JP Morgan Chase offers health insurance to employees who work at least 20 hours per week. The program provides medical, dental and vision coverage. There is a waiting period of 60 days for part-timers to be eligible for benefits, but you can include family members on your plan. Starbucks is perhaps the company best known for making health insurance coverage available to their part-time staff. There have been no changes in coverage availability since 2015. You can be covered under the company’s Your Special Blend benefits package that includes health coverage and other benefits. You are eligible for coverage if you work (effectively) at least 20 hours per week, but you must work at least 240 hours within a three consecutive month period to qualify. Your family members are also eligible for coverage. Caribou Coffee offers medical, dental and vision coverage to employees who work a minimum of 20 hours per week. Coverage can also be extended to your family members too. UPS offers health insurance and a host of other benefits to its part-time employees, and it has for years. However a friend of mine who is employed by the company says that you must pay out of pocket for the premiums on your family members. I hope he’s wrong, but I’ve never known him to be. Costco offers the Part-time Aetna Select Plan for it’s part-timers, and publishes benefit levels here. The coverage also extends to family members and offers low deductibles, like $500 for an individual and $1,000 for a family. The Fresh Market offers medical coverage and other benefits to employees who work a minimum of 30 hours per week. They offer “low cost medical, prescription, life, dental and vision coverage” for their part-time employees, and their eligible dependents. The 30 hour requirement is certainly heavy part-time, but it is part-time. Fresh Market is also my favorite among the boutique grocery chains. Safeway offers part-time jobs with health insurance, but it isn’t across the board. Whether or not it’s available will depend on the store and it’s location. It may be common practice in some areas of the country, but non-existent in others. Publix offers health insurance to its part-time staff, but like Safeway, it varies by location. This was one of the main stores that we shopped at when we lived in Georgia, and we consider it to be a top-of-the-line grocer. Many hospitals provide health insurance benefits to their part-time staff. Many of those jobs are in non-medical capacities, including cafeteria staff, administrative personnel, maintenance workers and security guards. Examples include Hartford Hospital in Hartford, CT, Florida Hospital in Orlando, FL, and Children’s Hospital of Los Angeles (CA). That’s just three of the hundreds of hospitals across the country that offer health insurance to part-time workers, so check with hospitals in your area. This is an often overlooked source of part-time jobs with health insurance. But many county governments do offer coverage, so this is a real option. For example, just doing a brief search I found that San Mateo County (CA), Hillsborough County (FL), and Calvert County (MD) all offer medical coverage for part-timers. Check with the county where you live, or those that are close by. Aetna’s benefit page reads “Aetna 2016 Benefits Overview for Regular U.S. Employees (working 20 hours or more per week)”, which shouldn’t be a surprise since they are an insurance company. In fact, the health insurance plans that they provide are through Aetna, and include an HSA or health reimbursement account (HRA). And no surprise again, they also provide vision and dental coverage, as well as other employee benefits for part-time staff. REI offers medical plans to part-time employees averaging 20 hours or more per week, under their REI Flex Plan, where you can choose from several medical plans for yourself and your dependents. REI pays for most of employees’ medical plan cost, which is unusual for part-time jobs with health insurance. Whole Foods part-time employees are eligible for benefits if they work at least 20 hours per week and have successfully completed a probationary period of employment. That’s what is offered on the company website, but since other grocery store chains vary by location, you should check out the location you are applying at to make sure that the benefit is actually available. Aerotek is an international temporary agency that offers medical benefits to its contract workers who work at least 20 hours per week. Medical benefits include dental and vision coverage, extending to spouses and dependent children. The University of Georgia offers not only health insurance but also dental, vision and other benefits, including retirement plan options. In order to qualify you must work 30 hours per week or more on a regular basis. The University of Illinois also offers health insurance for part-time employees, but they don’t specify the minimum number of hours required. The point is, colleges and universities do offer part-time jobs with health insurance, so check with one in your area. Banks are common sources of part-time jobs with health insurance. One is PNC Bank, who has branches all over the Northeastern US. They provide employee benefits, including medical and prescription drug coverage, to part-time employees. They encourage combining the health plan with a Health Savings Account (HSA) to cover copays and deductibles. SunTrust is a major bank located throughout the Southeastern US, and it offers health insurance to part-time employees. They have several plans, each including prescription drug coverage. Like PNC, they offer an HSA in combination with the basic health insurance plan. Like their close relatives, the banks, part-time jobs with health insurance seem to be pretty common among credit unions too. One example is DCU Credit Union, based in Massachusetts. They offer medical, dental and vision to full and part-time employees who work a minimum of 20 hours per week, including family members. As noted earlier, my entire family has coverage through my wife’s job at a competing credit union. 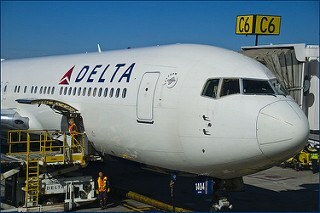 Delta Airlines provides health insurance coverage to part-time employees and their eligible dependents. In fact, they offer three different plans, depending on where you live. Delta offers a full range of benefits to part-time employees even apart from health insurance, making it a desireable place to establish a solid part-time career, if that’s your choice. UPDATE: Reader Christin added another employer to the list on the 2015 article in which she posted a comment: Peet’s Coffee & Tea. It’s a California based chain, started in 1966, with at least 200 stores in California, Washington, Oregon, Colorado, Illinois, Ohio, Pennsylvania and Massachusetts. I’ve verified her claim that they offer health insurance to part-timers who work at least 21 hours per week. The information is confirmed on Peet’s website. The universe of employers who provide health insurance, whether for full- or part-time employees, is at least something of a revolving door; that means that this list is not set in stone. As my family discovered, employers don’t always offer a subsidy on the premiums for part-time employees; that means you may pay something close to full cost. Though the ability to cover family members seems to be getting more common, there are some plans that are for the individual employee only. As I reported at the beginning of this post, I’ve excluded employers who offer limited benefit plans instead of actual health insurance; if you find any employers apart from this list, be sure it’s a real plan, and not a limited one. Be very specific in confirming the existence and extent of coverage available before accepting a job offer; coverage is not always as clear as it is with full-time employment. Look for companies engaged in the same industries as the ones on this list – you’ll likely find more employers offering coverage for part-time workers. I’m not claiming that part-time jobs with health insurance is the perfect solution to everyone’s health insurance dilemma – there is no perfect health insurance anywhere anymore. But the part-time route may be one of the better solutions if you’re self-employed, between jobs, or you have a full-time job that does not offer coverage. It may take some creativity to figure out exactly how this will fit into your own situation, but I can tell you from real-world experience that it’s working beautifully for me and my family. Feel free to share your own experience, or to weigh in with more thoughts. ← Build Savings or Pay Off Debt – Which Comes First?